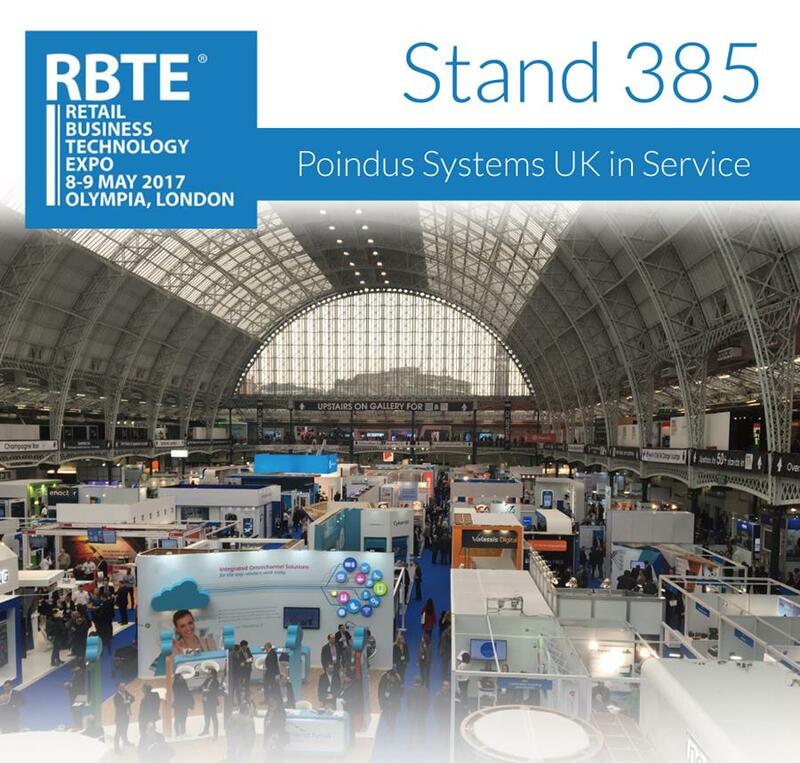 On the 8th and 9th of May 2017, Poindus will be exhibiting on stand 385 at the Retail Business Technology Expo (RBTE). This time Poindus will be showcasing the new evolution of VariPOS. Poindus POS platforms are all designed for retail and hospitality with reliability and durability in mind. We’re committed to offering all types of AIO products including Tablet (VariPAD W & VariPAD S2), Industrial Displays and BOX PC to fulfill all kinds of scenarios. In 2010, Poindus introduced VariPOS to the world. VariPOS which is available for counter POS, Pole Stand or VESA Mount has countless success stories and a proven track record with our partner’s great installations. Starting from 2016, VariPOS has had divergent developments for various applications. Poindus introduced a hybrid platform to the market. The first testimony, VariPOS 210 , is a lightweight POS with 14” P-Cap touch Panel; moreover, the vital feature of this aesthetic POS is power outlet free operations and a lower the risk of data loss in the event of power outages. VariPOS 300/310, a compact POS with 3” printer integration, is another improvement for ticketing requirement. It is a non-stop evolution of the Poindus VariPOS. Poindus will be proposing VariPOS 250, the latest evolution of VariPOS at RBTE 2017. We are confident the patented design connected hinge of VariPOS 250 is an innovation that will facilitate greater multiple-application adoption. Additionally, we will be displaying our other popular AIO POS Solutions, the increasingly popular Tori Series , and POSINNO Series. These machines suit medium to high traffic fashion retail businesses, providing both the necessary performance to handle demanding software requirements. The VariPAD series will demonstrate the ability of transform from mPOS to Static Terminal in Seconds. Display & BOX PC will be also be showcased at our booth, and available for trial. Come visit our booth and see what we can do for your retail or hospitality business.